There’s been a lot of talk in the media recently about end of life care and whether the choice to care for your loved one at home is better than the care they receive in hospital at the end stages of life. Órla always hated hospital and the many people who entered her room to clean/deliver food/check her obs etc she hated the intrusion. She wouldn’t let any of the nurses/doctors give her meds anyway it always had to be me so the decision to care for Órla at home was an easy one for me. 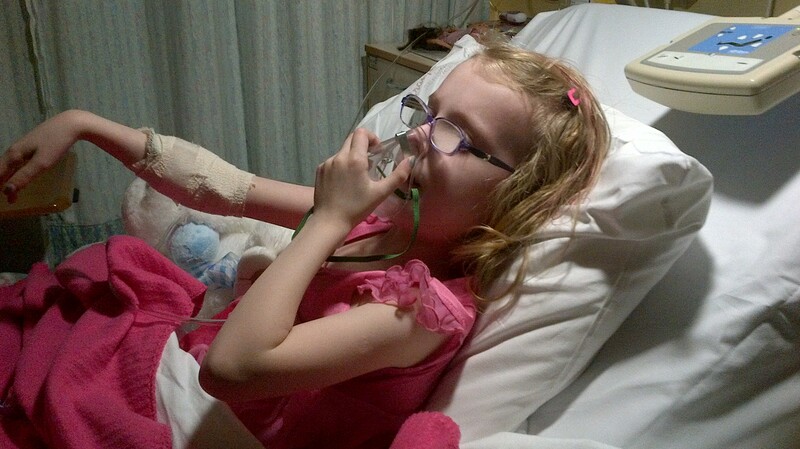 Órla had cystic fibrosis so it meant that on a daily basis she would need to take several different tablets and medicines, physio twice a day and different inhalers and nebulized drugs regularly so we were used to all that. Although id never nursed someone to their death I figured it couldn’t be much worse and to be honest although there were some scary moments at times im so very glad i did it and would do the same again if i had the time over. Órla’s last time at hospital was in feb of this year, she had an infection and was having intravenous antibiotics but her line kept failing and it was very stressful. After several attempts at putting a new line in i made the decision that i wanted to take her home and bring a bit of peace back into her life. At that time all i wanted was my little girl happy again and safe at home with her mommy and big sister. I didn’t think any more other than that. Looking after Órla at home has given me some of the most precious memories that will stay with me forever, i know i was there for every second she needed me, she was comfortable in her own surroundings in that special place in the front room. she could ask for anything and i was able to get it for her and most importantly she could decide where she wanted to finally rest and who she wanted around her. The practicalities of course were that i had to administer her morphine, check her oxygen levels aswell as the washing and grooming that needs to be done. The hardest thing for me was watching her waste away when she started to refuse food and drink. Her CF nurse called every week as did our local GP but there was nothing they could say that was going to change Órla’s course. When the pain got too bad and she was on a lot of morphine we lost the real Órla as she was barely able to stay awake let alone talk or walk. But she knew i was there right beside her all the time. I was lucky to get a lovely big cuddle from her an hour or so before she took her last breath, as she didn’t really like cuddles this will stay with me forever as I believe she was telling me goodbye.